Digital Media Arts College sits on Florida’s Atlantic coast in the picturesque town of Boca Raton, just a short distance from Miami. With a BFA in Computer Animation and an MFA in Visual Effects Animation, students at DMAC immerse themselves in all areas of animation- from writing screenplays to storyboarding and modeling to lighting. Playing just as a great a role in their lives as do the nearby beaches, campus organizations such as an FX Club help students grow as creative thinkers while a MoCap and green screen, labs and gallery all contribute to their education. For our latest featured Q&A, we caught up with DMAC’s new Chair of Computer Animation, Brett Baker. Baker explains how the program leverages diverse local industries to get more students thinking outside of the entertainment box, putting their skills to use for the variety of opportunities in abundance. He also offers his insight to aspiring animators and his advice certainly bears repeating… so listen up! (This interview, done via phone, was edited for length & clarity). 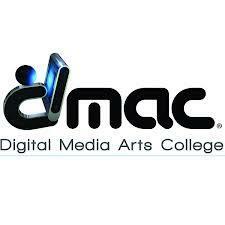 ACR: DMAC’s BFA in Computer Animation is a grueling program that can be completed in 3 years- an attractive option. Does the level of work involved surprise some students? BB: For sure. We all grow up with animation- watching it on film and on TV- and we have very positive associations with it. We’re in awe of the Pixar’s and Disney’s but as far as sitting down and actually creating animation, a lot of students don’t realize what they’re getting into. Studying animation is like learning an instrument- it’s all about practice. Some students will complete their degree in 3 years, but others will take longer. ACR: What kind of introduction to the animation do students get? BB: We’re in the midst of making some changes to our program since I came here. I don’t think it’s a healthy thing to throw new students into the wolves, so to speak. They have no idea what they’re getting into and it can be incredibly overwhelming. We have foundational classes and we’re developing more to let students get their feet wet with related technologies. ACR: Your program emphasizes creating great stories- the foundation of great animation. How do you teach students to become storytellers? BB: Becoming a visual storyteller is at the heart of being an animator and getting an emotional response from your audience. Not everyone can be great storytellers, but the great ones become the John Lasseter’s of the world. If you can make people become introspective or laugh- even with something short- you’ve been successful as an animator. We balance that creativity with grasping the technical tools because you have to use those tools in order to become a visual storyteller. ACR: What are some of the tools that your students leverage? BB: I’ll preface this by saying that I learned long ago to never say state-of-the-art because the state-of-the-art changes every 6 months! But we’re using tools standard to the industry. For instance, we use the 3D animation package used predominantly in the industry- Maya. Some other tools we use are Adobe After Effects and Photoshop. These are core tools where, no matter where you go or what you do, there is an expectation that everyone can use them. Once you grasp these tools, you can learn more nuanced or proprietary tools. ACR: Is teaching the production pipeline a priority in your program? BB: If we had a bulk of graduates moving out to Hollywood to make films, then we would work more with production pipeline. But our local markets, where most of our graduates stay, isn’t so much defined by pipeline as it is about learning diverse tools for different applications. BB: That’s right. If we catered our curriculum to the entertainment industry alone, we would only be addressing a small sliver of the uses of this technology. Films and TV are a much smaller, albeit more visible, piece of the animation pie. The bulk of this work is outside entertainment, so it’s more important to me that our students can expand their careers where opportunities are everywhere. ACR: Do most DMAC students participate in internships during their studies? BB: We recently revised our curriculum and internships are now mandatory. It’s really important that students work in real environments with real deadlines before graduating. Schools can be walled gardens. They’re also a good pathway to finding your first job. ACR: What sort of internship opportunities do your students presently have in or near Boca Raton? BB: Along with our career services staff, I’ve begun to build internship relationships throughout Florida. We especially seek out industries that utilize animation technology whether they be architectural companies (of which there are many), corporate graphics or the Latin American TV market which has an enormous amount of opportunity for our graduates. ACR: What advice do you give to your students as they embark on their own careers? BB: Once you’re out of school, use your skills doing real production. That will help you move further down the road towards your goals- whatever they may be. Even if you want to shoot for a Pixar position- that’s a wonderful aspiration with absolutely fierce competition- you can get in but you have to set realistic expectations and develop a plan for how to get there. Primarily, this is a freelance industry so it’s really important to think of the work you do as an independent business; when you’ve finished your day’s work, always set aside time to find the next job so that you aren’t stuck waiting for one. Establish a list of clients you work for- whether you’re creating product animation or corporate graphics. You will be amazed at what you end up doing for them... you start doing one small thing and it can take off into doing their TV commercials or some very large jobs that you might never have guessed. ACR: Great advice indeed. Any last words for aspiring animators out there? BB: A former student of mine interviewed me for his thesis project and shared with me some of the takeaways. The main was if you can train yourself to be a person who is creative-on-demand, you will be an incredibly valuable asset wherever you go. Creativity is a pro-active mentality, it’s not something you sit around and wait for. I tell everyone that there is no such thing as boring work- I take whatever it is I’m doing, and make it visually interesting and that is in itself exciting. When students come to me with their creative problems, those are my favorite moments. I really enjoy problems that require you to think about the issue. Creativity is the ability to solve a problem. Becoming a natural problem solver is the single greatest asset you can have for any employer. 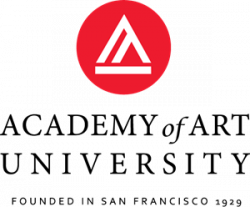 ACR: Brett, it’s been a pleasure learning more about DMAC’s program and how its teaching next gen animators. Thanks for participating in the Q&A.